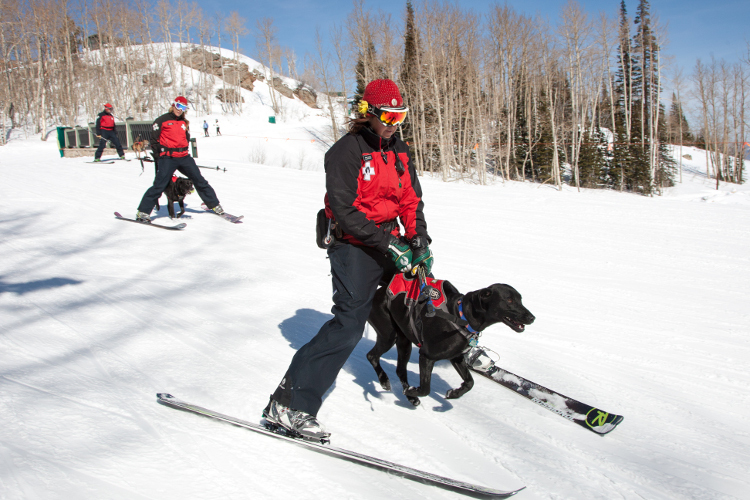 The Deer Valley Avalanche Dog program dates back twenty years. 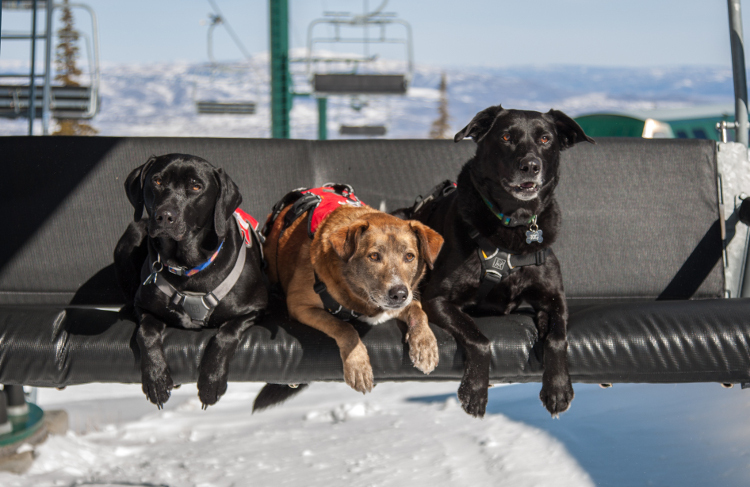 From the time one of the resort’s patrollers worked tirelessly to get it off the ground to this very day, it has evolved to the point that Deer Valley’s Ski Patrol now has three avalanche dogs, with at least one on the mountain every day. These dogs are owned by their handlers and go home with them every night. Let’s begin by meeting them. 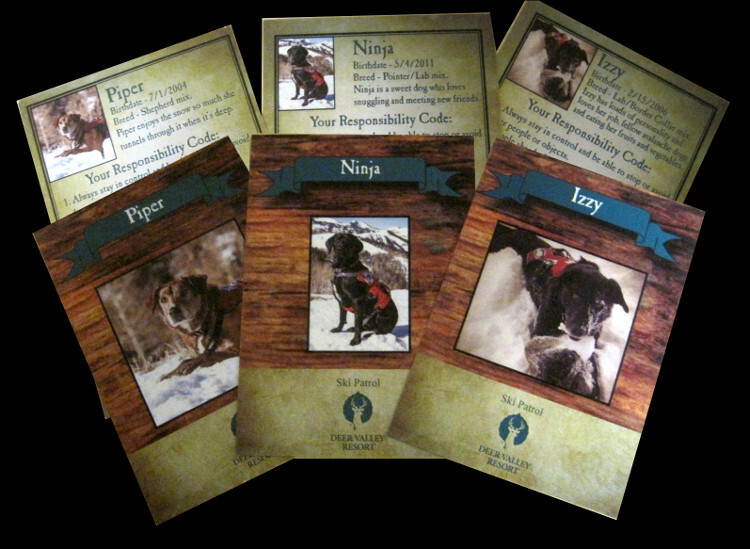 We have Ninja, a male Pointer/Lab mix, that is almost four years old; Piper a female Shepherd mix, an 11 year old veteran that also happens to be Chris Erkkila’s dog and Izzy, a female Lab/Boarder Collie that is nine years old. 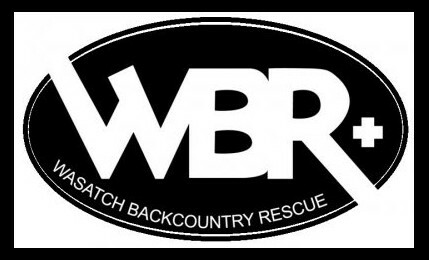 The Wasatch Backcountry Rescue (WBR), a local non-profit organization oversees the training and certifications. 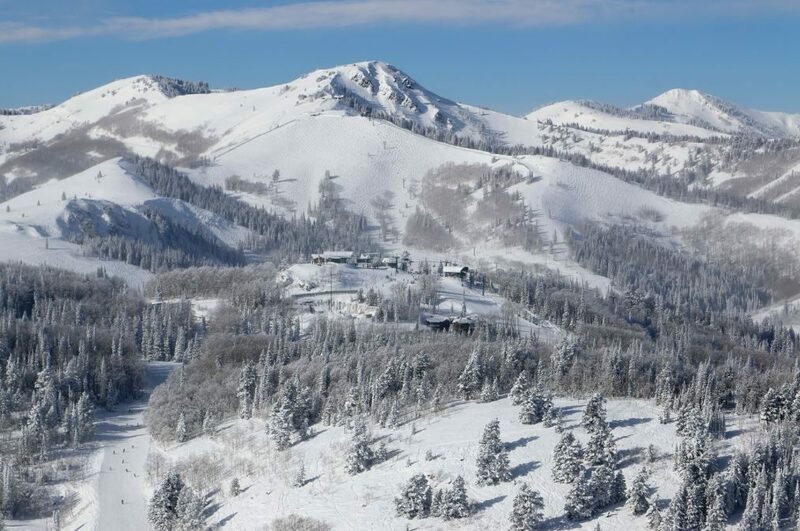 Nine ski areas are member of the WBR, and account for a total of 30 to 40 dogs. Of course, there are other considerations. Some breeds are better suited than others for the job. A thick coat is definitely an advantage compared to a thin one; with it, a dog can stay warm longer, while thin-haired dogs may have to wear an extra coat. There are also breeds that have a higher sense of smell than others. Labrador retrievers, German shepherds and boarder collies are better suited than most. Size matters too; large dogs get tired faster because of the mass they must carry and may develop orthopedic problems faster. Then there’s the mere fact of getting around. Carrying the dog down the slope, loading it up on a chairlift, a snowmobile or a helicopter can be hard with larger dogs. Conversely, a small dog will have a harder time climbing on big chunks of snow or walking into deep powder. The happy medium seems to fall right between 40 and 60 pounds. Once the puppy is selected, training begins at once with with socialization and obedience. Then training for search follows. It begins very progressively by using one of the dog toys and hiding it behind a tree, then burying it under the snow. This is followed by using articles of clothing like a scarf or a wool sweater scented by a human being, and slowly, the search training evolves to a real person. First, just by hiding behind a tree, before the person is actually buried under the snow. Some avalanche dogs can smell people that are buried under 15 feet of snow. A person’s scent permeates throughout the snow pack and eventually makes its way through to the surface. The surface scent may get to an area that is not necessarily the actual body location. The scent works its way trough a cone-shaped path that may follow a slanted trajectory depending on the snow structure. In addition, windy conditions or even just a slight breeze may affect how a dog will catch the scent coming out of the cone. The dog must be led in relation to the wind. Upwind, it becomes impossible for a dog to catch the scent. Stormy and blizzard conditions may make locating very tricky and difficult. 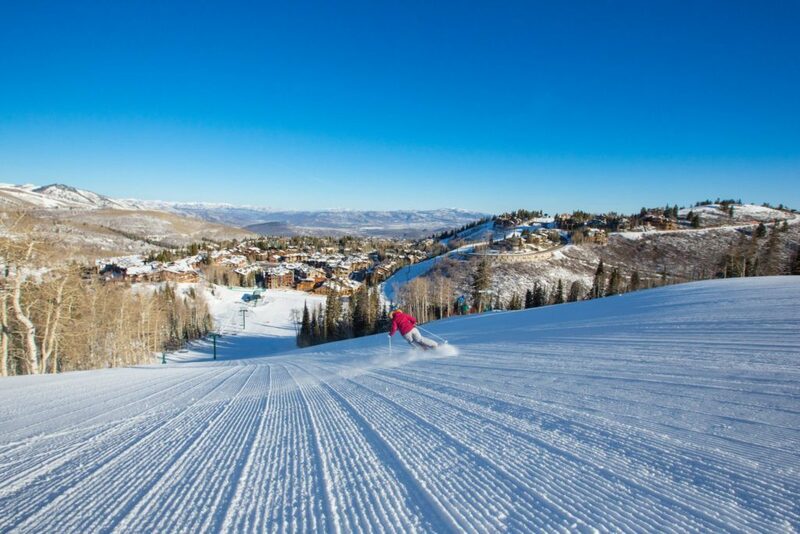 The same applies to terrain conditions that generally are always steep, rugged and involve snow density of varying degrees. Around an avalanche, the surface of snow can be rough and will tire a dog very fast. This is why dogs are often carried to the rescue site so as to save as much of their energy as possible. Dog certification is handled by the WBR. Three levels are offered: A, B, and C. Level C designates a candidate entering the program. 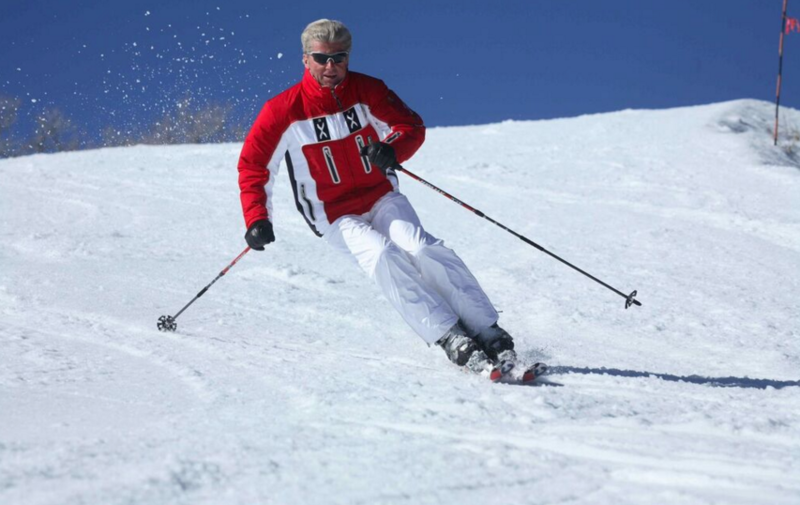 Level B is for dogs capable of searching within the ski area boundaries. 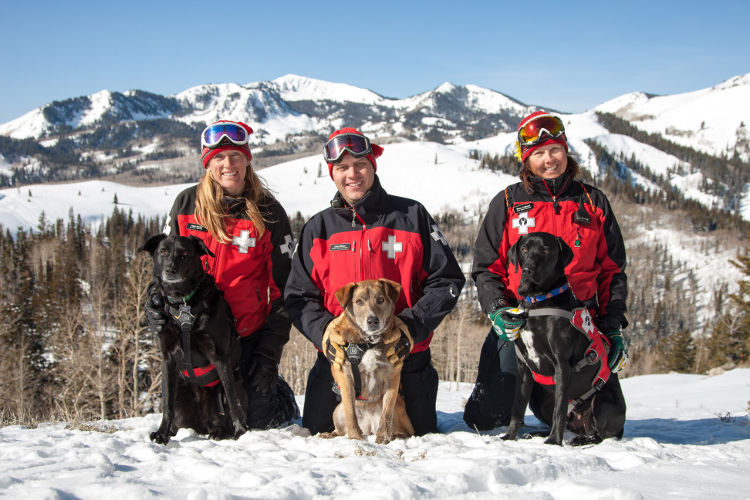 Level A is the full certification and applies to dogs capable of searching both within the ski area and the backcountry. Dogs cannot be tested for Level A until they’re at least 18 month old. For most dogs, it often takes two winter seasons of work and training to pass the the Level A test. Sometimes, it may take a dog three full years to reach Level A. From that point on, dogs can expect to work on search and rescue until they are about 10. 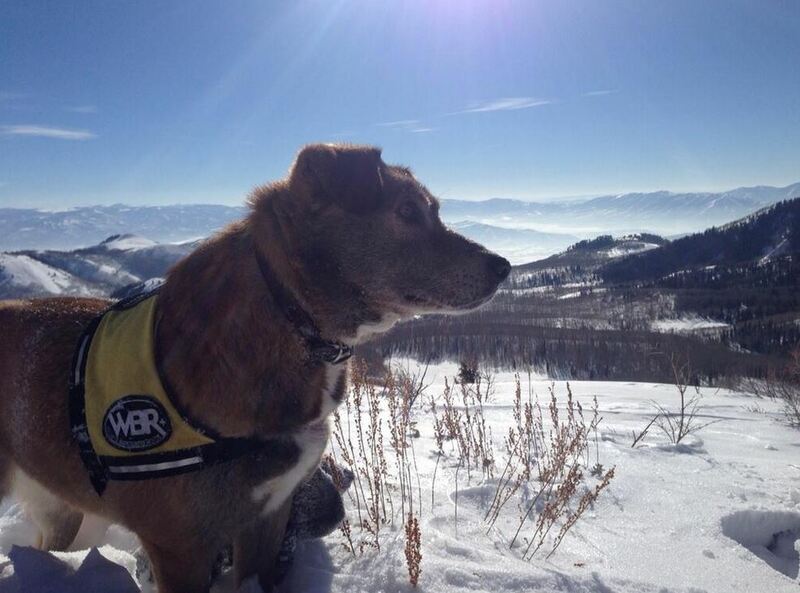 Piper, Deer Valley’s oldest dog, is 11 years old; she’s still going strong, but may be an exception amongst her peers. Training is a big endeavor that must be kept up. 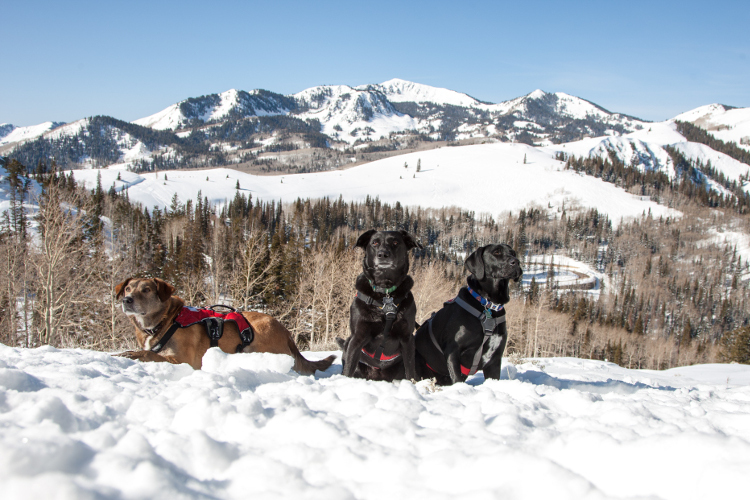 Deer Valley avalanche dogs stay active year-round. During the off-season, their handlers take them around the resort while mountain biking or working on trails. Their dogs must stay active and obedient while also receiving some agility training to mitigate an off-season sedentary time period. On occasions, outside agencies, like the Summit County Sheriff Department, may come up and expose the dogs to cadaver work, materials they don’t encounter on a daily basis. Do you have a dog food company sponsor? We don’t have a dog food company at this time. 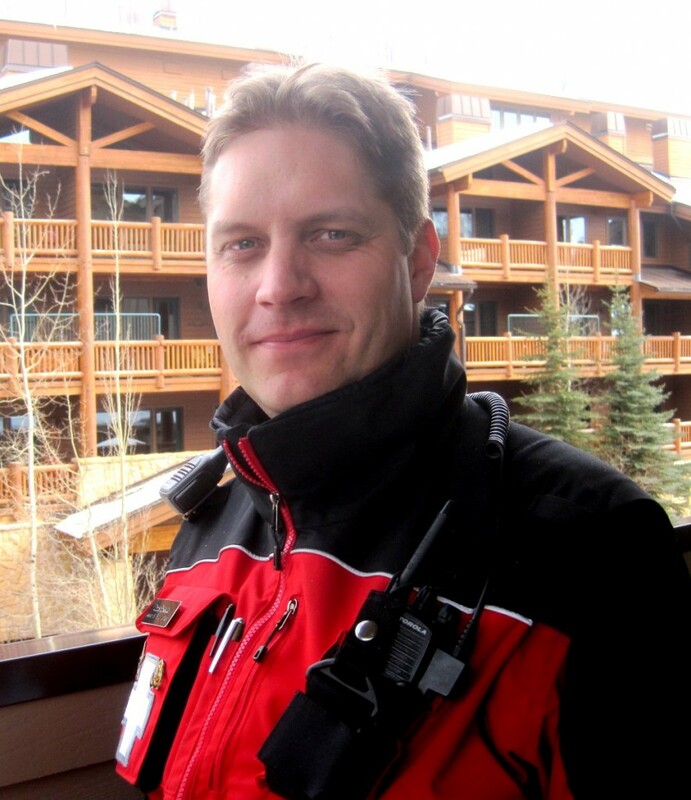 You can contact Chris Erkkila at cerkkila@deervalley.com. My husband was there for business and bought a T shirt for me. We live in Cincinnati and would like to purchase more shirts to support this great cause. Is there a website where we can order more? Thank you for reaching out. You can buy more Deer Valley Avalanche Dog merchandise at http://signatures.deervalley.com/avalanche-dog.html Let us know if we can help with anything else.